Organized by INSA Toulouse France, ­Society for Electrical Engineering France. Please note the Standards committee meetings of the IEEE EMC Society are held the day prior to the EMC Board meetings listed below. All Standards committee meetings are open to anyone with an interest in EMC standards. To attend a Standards committee meeting at one of the locations below, contact Don Heirman at d.heirman@ieee.org. Board meetings are also open to those interested in the administration of the EMC Society. For information on the Board meetings, contact Janet O’Neil, 425.868.2558, j.n.oneil@ieee.org. Your involvement is welcome! On Signal Integrity, PCB Design, Partial Inductance, Use of PSPICE to Solve EMC Problems and More! The chapter will not hold a tabletop show in 2009. See you in 2010 when the tabletop show resumes in April. If you would like to add your name to the list of exhibitors to receive direct announcements in advance of these upcoming tabletop shows, please send an e-mail to Janet O’Neil, j.n.oneil@ieee.org. Please Note: For more information, IEEE-sponsored and co-sponsored symposia can be found at the following page: http://www.ieee.org/conferencesearch/. Enter the symposium name, time frame, and/or other pertinent information (partial information is also acceptable) to search for a particular symposium. 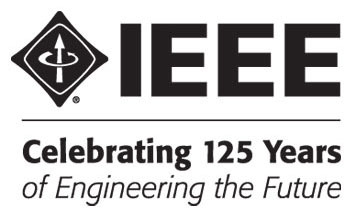 Coming in the Summer 2009 EMC Newsletter—A celebration of the IEEE 125th Anniversary! Features the special EMC Society event in historic Philadelphia and more!